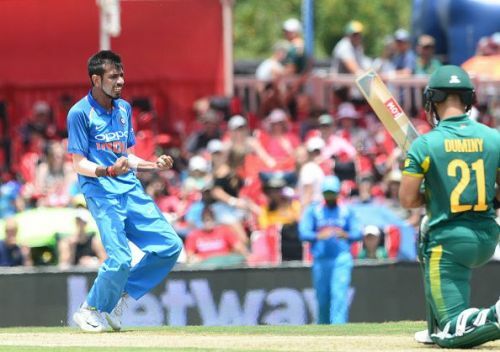 Yuzvendra Chahal, an Indian right-arm leg break bowler, made his debut during the Zimbabwe tour in 2016 in which he took only one wicket from the 10 overs he bowled. In the same series, he also took 6 wickets. He was also the 2nd highest wicket-taker among all the bowlers in that series after Jasprit Bumrah. He became the first leg-spinner to pick up a 5-wicket haul in a T20I. He also became the first bowler to take 6 wickets in a T20I. He also became the highest wicket-taker in the calendar year of 2017 in T20I cricket. Chahal is at the 6th position in ODI and 11th in the T20I world ranking. In ODI, he has appeared in a total of 33 innings so far, in which he has taken 56 wickets with an economy rate of 4.75 along with a 5-wicket haul. In T20I, he has appeared in a total of 27 innings so far, in which he has taken 44 wickets with an economy rate of 7.82 along with a 5-wicket haul.